It's 5:30AM. 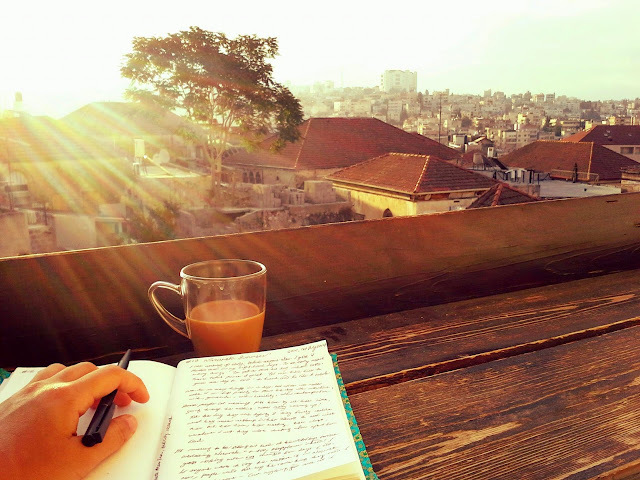 I'm journaling and watching the sun rise over the sleepy town of Nazareth from my beautiful 200 year-old Arabian mansion turned inn-hostel. I guess nothing much has changed since the days of old (apart from the fact that there are no Jewish inhabitants here - it's 70% Muslims & 30% Christians).